Italian Allure in SICILY & PUGLIA! – WHERE'S BRENT BEEN? What a whirlwind of year this has been, first I launched my Mexico Riche tours with my tour partner Annette Zubani to great success… then we quickly followed up with this extravaganza to southern Italy with a small, equally fab crowd. Nettie and I do things a little differently to most tour companies as we take you to places off the beaten path and present experiences that are far too fabulous to find out about any other way, this is “insider intel” at its chic-est! In Italy it was all about Sicily, Puglia and Rome… and who knew that it would still be super sunny and busy mid September? This is where we start at the luxe Aldrovandi Villa Borghese (part of the exclusive Leading Hotels of the World), this classic Rome hotel has a private pool and stately Italianate gardens – it was the perfect place to meet the group, chill out and prepare for the adventures ahead. A whirl through Noto and day trip to the Agrigento make this a very special part of our private tour… we experience the Valley of the Temples and include lunch with a prime view of these Roman wonders. 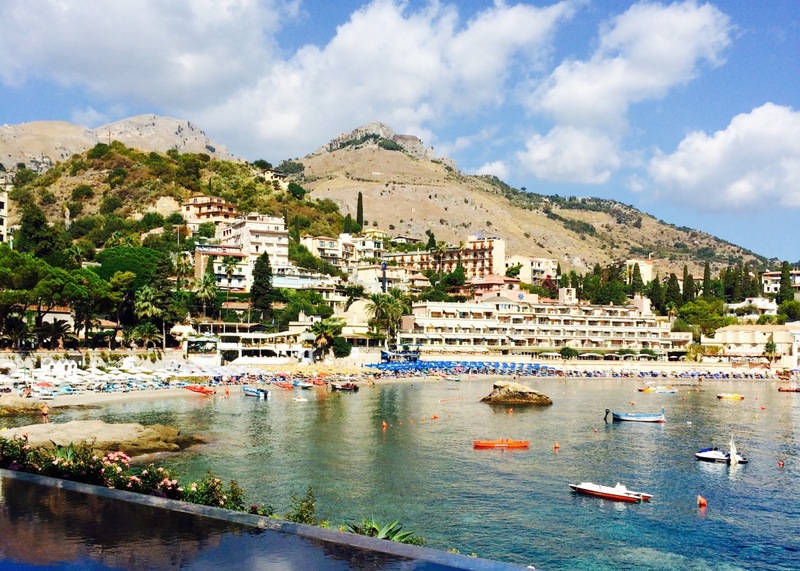 Then it’s two nights spent luxuriating in Taormina Mare at the ultra fabulous Belmond Villa Sant’Andrea where days slip by at their exclusive beach club and nights are spent in some of the best restaurants in Taormina – we’ll even order for you if you like? After Sicily we jetted to Bari in Puglia and onto the exquisite Borgo Egnazia in Fasano, the perfect base to explore this very fabulous region of Italy (and it comes with its very own exclusive beach club). We’ll show you gorgeous hilltop towns way off the tourist map (Lecce, Alberobello, Locorotondo are a few) and share food experiences you won’t forget in a hurry. In Puglia you’ll experience a sun-bleached countryside, agriturismo, farm kitchen goodness, lemony scented evenings and rustic, olive groves for days and pastoral views. This is relaxed and chilled Italy! After Puglia we all jetted back to Rome and checked into the sleek JK Place Roma (read my JK Place Roma blog post here) for some last-minute shopping and a whirl around the Vatican … privately of course! Seeing the Sistine Chapel with your own eyes before the crowds descend is a once in a lifetime experience. Come experience Italy with us… our 2015 departure is July 27, but be quick as this small exclusive tour will fill fast. Contact me for details. Previous My Home in ROME!